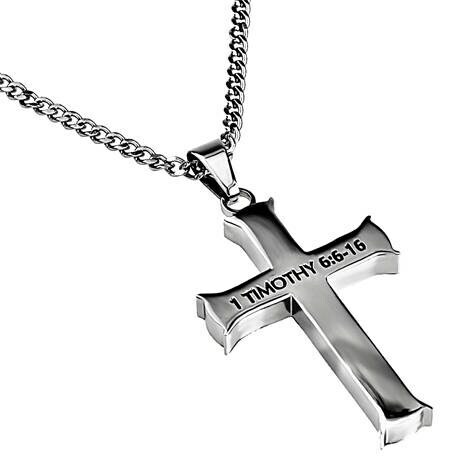 Iron Cross "Man of God"
Solid Stainless Steel cross with high polish finish outer frame and silver middle. 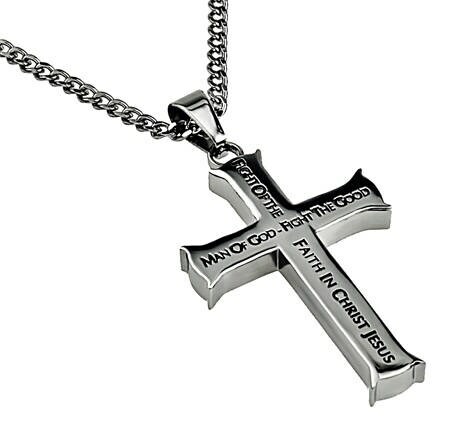 Front and back side Scripture is electroplated into the cross.Cross size 1 3/4" x 1". 20" length high polished 316L stainless steel curb chain.